Tone gives shape and life to a story. Through tone, the attitude and mood of a literary work are created and presented. It gives voice to the characters, both literally and figuratively. Tone also allows the reader to learn about a character's personality and disposition. But, beyond all this, tone shapes the work as a whole, indicating if the piece should be read as serious, funny, dramatic or upsetting. Tone word examples are present everywhere in the media and real life. Let's take a look at it, from an ordinary sense and a literary viewpoint. A good way to uncover the depths of tone is to try writing in different mediums. Even if your dream is to be published in an anthology of short stories, practice writing in other formats too. Write a news story; write a poem; write an opinion piece. This will help you adopt different tones and allow you to move gracefully through all of your creations. Let's explore various examples of tone from literary masterpieces. One of the most well-known characters in all of literature, Holden Caulfield, has an undeniable tone in The Catcher in the Rye by J.D. Salinger. He's sarcastic, tough, and inquisitive. That's exactly what Salinger's purpose was. He wanted to write a coming of age narrative about a boy navigating through life alone and observing and criticizing the world around him. "Life and death appeared to me ideal bounds, which I should first break through, and pour a torrent of light into our dark world." Victor speaks these words at the very beginning of the novel, setting an ominous mood for the rest of the tale. In a different context, this quotation would be full of woe and misery. 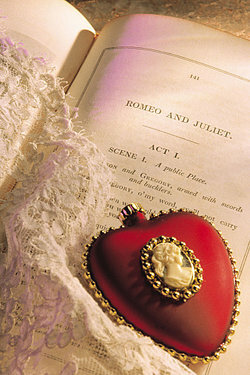 However, although Lysander is making comments about troubles with love, the reality is the words are spoken by a comic character indicating the play is sure to be full of perplexing yet light trials of love. This is William Shakespeare at his best. "Mere anarchy is loosed upon the world." In this one line by W.B. Yeats, the words anarchy loosed upon the world create a sense of fear and foreboding. This sums up the poem and the effect of tone in general. Robert Frost is commonly interpreted as looking back on his experience with joy. However, in this instance, Frost isn't thrilled with some choice he made in the past. What's the Difference Between Tone, Mood, and Voice? Each of these elements are shades of the same color, but there are differences. When discussing various literary elements, it's advantageous to be precise with terminology. Tone is the writer's attitude. The tone will set up a suspenseful novel, a hopeful opinion piece, or a melancholy poem. While tone stems from the author, mood can be attributed to the reader. The writer's tone will illustrate various feelings or emotions, and the reader will develop those emotions and process them in the form of their own mood. Typically, of course, it'll line up with the author's tone. If the author is writing a piece on hope and everlasting love, the reader's mood will align accordingly. If the author's tone is melancholy and dreary as the main character scrapes by in matters of love and war, the reader's mood will shift accordingly. Voice is harder to pinpoint. Every writer has their own voice. That is, you can pick up on common catch phrases or repeated themes in their works. In a way, voice is the umbrella under which tone and mood develop. A writer's specific voice will connotate a somber tone or an upbeat tone in a way that will allow the reader to experience a dismal mood or a hopeful mood. Conversations in everyday life and much of what we read has a tone. Sometimes, as in the Frost example, tone isn't always easy to decipher. More, people might perceive an everyday encounter or an author's tone in different ways. This is why literary analysis is so thrilling. A writer might paint a passage with a specific intention, or tone, in mind. Meanwhile, it could go on to create a whole slew of mixed moods from the audience. Different perceptions in tone and mood can elevate book club meetings to something resembling a professional wrestling match. Whose perception is right? For more on the subject, take a look at this guide to writing a book review. "Tone Word Examples ." YourDictionary, n.d. Web. 18 April 2019. <https://examples.yourdictionary.com/tone-examples.html>. Tone gives shape and life to a story. Through tone, the attitude and mood of a literary work are created and presented. It gives voice to the characters, both literally and figuratively.Tone also allows the reader to learn about a character's personality and disposition. But, beyond all this, tone shapes the work as a whole, indicating if the piece should be read as serious, funny, dramatic or upsetting.Tone word examples are present everywhere in the media and real life. Let’s take a look at it, from an ordinary sense and a literary viewpoint. Descriptive Text ExamplesExamples of Symbolism in LiteratureExamples of Theme in LiteratureExtended Metaphor ExamplesWhat Are the 5 Types of Imagery in Literature?